​Following the devastating wildfires, we have decided that 'La Soirée, the gastronomy and Wine show 2017' will be dedicated to celebrating and supporting Napa and Sonoma. Half of the La Soirée fundraising profit will be dedicated to helping Napa and Sonoma businesses who suffered from the fires. 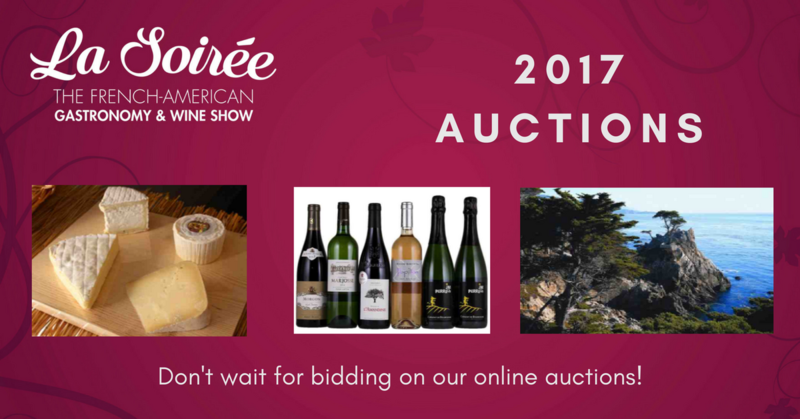 So this year more than ever, you can make a difference and show your support by bidding on our amazing auction items! Drone, relaxing massage, nights in a luxurious hotel... this is just a glimpse of our amazing items! Don’t wait till they are gone!